ClumsyMonkey.net • View topic - Jack Attack!! Watch the 12 Best Jack Attack moves of the season so far. #3 is still my favorite (the double leap off the building and onto the suspect). I am so going to marry him and have his babies!! Those babies would do a drop kick through your stomach when they decided to come out! ..Just thought you should know. 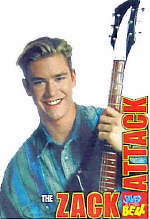 I'm disturbed that Zack Morris has a guitar like mine. I'm disturbed that Jack Bauer makes you think of Zack Morris.